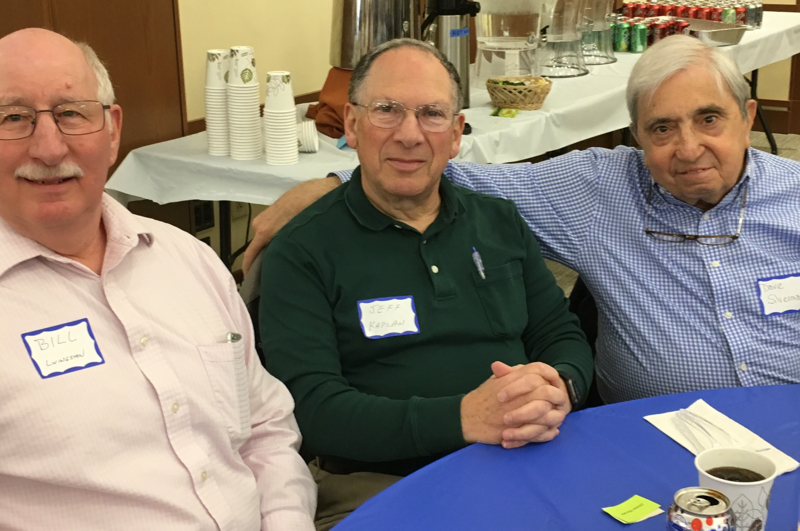 For Shaare Emeth’s sages, the Shaare Emeth Seniors Steering Committee plans regular events for those who identify as senior adults. We work in partnership with Temple Emanuel, United Hebrew and Temple Israel to plan many of these events. Jewish Seniors on the Move is a program created in 2016 where active St. Louis Jewish senior adults can enjoy day trips, tours, food and friends while exploring St. Louis! This program is presented three to four times a year in partnership with United Hebrew Congregation and Congregation Temple Israel. Shaare Emeth members are added to this list at age 65. Stay tuned for the announcement of our next day-trip! Led by the Seniors Steering Committees of Temple Emanuel, Shaare Emeth, Temple Israel and United Hebrew, the Seniors Lunches include themed meals and desserts with a program by a local guest speaker or entertainer. Shaare Emeth members are automatically added to this list at age 70. Lunch prior to the program will be catered by Protzel’s Deli and will include your choice of sandwich; corned beef, turkey or egg salad and your choice of side; cole slaw, potato salad and either a New York knish or potato knish. Dessert will be an upside-down cupcake. Please let us know if you are gluten free. 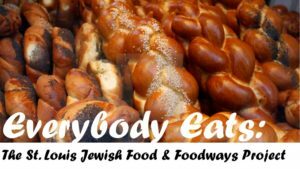 The St. Louis Jewish Food & Foodways Project is gathering information about those who owned, operated, or even visited various Jewish-owned food-related businesses. From the early 19th century through the late 20th century, there were hundreds of Jewish businesses that revolved around food, including delis, bakeries, butchers, fruit & produce vendors, grocery stores, poultry and egg men, confectioners, fish markets, and supermarkets. This presentation will offer a glimpse into our findings to date. Invitation will be arriving to your mailbox. RSVP by mailing in the form that will come to your mailbox or by calling Congregation Shaare Emeth at 314-569-0010. Please let us know if you have any special dietary needs when you make your reservation. Want to be Notified of Upcoming Events for Seniors? Contact [email protected] or 314-569-0010 to be added to our Seniors Lunch and Program or Jewish Seniors on the Move postal mailing lists.